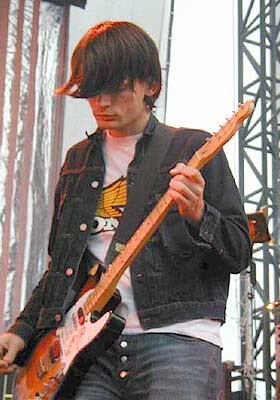 Radiohead’s Jonny Greenwood must be a fan of Honda because not only did he stick a Honda logo sticker on his Fender Telecasters Plus. And he also has been seen wearing a Honda logo shirt as seen below. 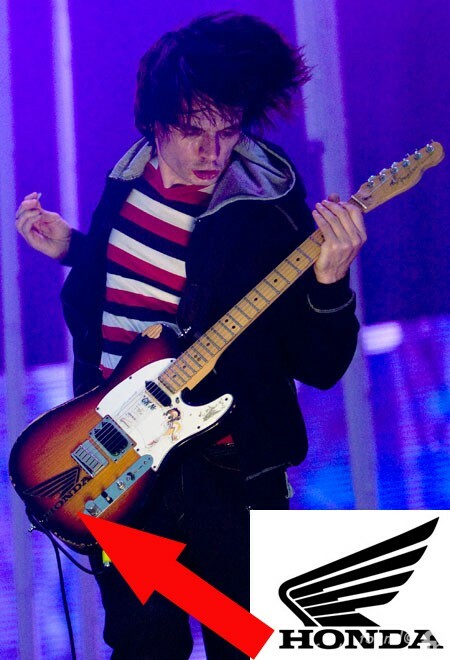 He has even worn the Honda shirt and played the Honda guitar at the same time. Check out some more stickers on instruments!!! who isnt a fan of honda?